LANmark-6 cable is the ultimate solution for a future proof network. It is speciﬁcally designed to support the exacting requirements for tomorrow's protocols, yet is fully backwards compatible with today's needs. It is the recommended cable for all forthcoming installations. LANmark-6 is independently veriﬁed to exceed the requirements of the ISO/IEC11801:2002 Category 6 requirements. 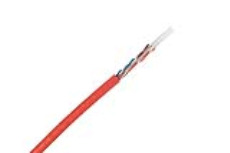 Tested to 350 MHz and with guaranteed performance to 250 MHz, Nexans LANmark-6 cables provide guaranteed headroom and bandwidth over and above the requirements of all international, european and american cable standards, including ISO/IEC 11801:2002, IEC 61156-5, EN 50173, EN 50288, TIA/EIA 568B.2-1. LANmark-6 is installed in exactly the same way as Category 5 cables. The C³ central cross member reduces the risk of crushing and kinking. 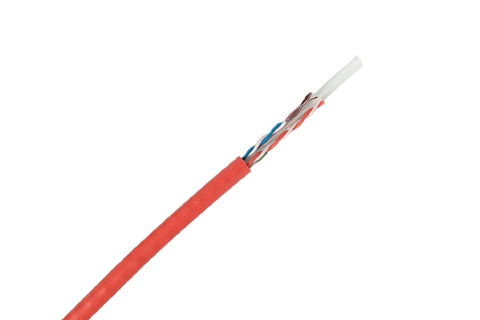 Nexans LANmark-6 cable is covered by the guarantee that it is Category 6 and by a parts and labour warranty as described in the Nexans Certiﬁed System Warranty.